Find Zionsville, IN New Homes for sale. View Photos, Maps and MLS Data Now! 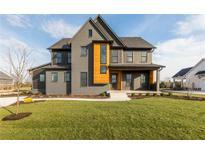 3rd car tandem garage and many more options in this stunning home. MLS#21631562. ERA Real Estate Links. Wooded privacy to back is perfect setting for a pool (offered with full price Offer). MLS#21628598. F.C. Tucker Company. 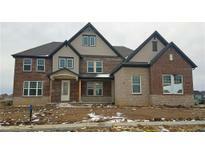 Oldfield - Come make this gorgeous home yours! MLS#21619769. F.C. Tucker Company. 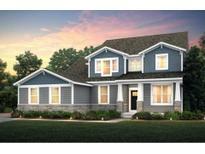 Long Brook - Photos are builder's model or renderings. MLS#21623504. F.C. Tucker Company. You’Lower Level love the open-concept layout with private-level owner’s suite and finished lower-level game room for extra space. MLS#21622275. CENTURY 21 Scheetz. Community will offer pool, playground, walking trails and MORE. Zionsville schools. MLS#21615008. ERA Real Estate Links. Community will offer pool, playground and MORE! Zionsville Schools. MLS#21614117. ERA Real Estate Links. The naturally lit basement includes a super-sized Recreation area for the family and a guest bed w/ full bath. MLS#21609700. F.C. Tucker Company. The rear yard with covered patio and fireplace is a wonderful setting to enjoy Indiana’s seasons. MLS#21607701. Encore Sotheby's International. The home shown is 4 bedroom, 3.5 bath home with an unfinished basement. MLS#21607881. CENTURY 21 Scheetz. This one of a kind Estridge home won't disappoint! MLS#21604273. CENTURY 21 Scheetz. Pictures may be of a similar model. MLS#21601802. CENTURY 21 Scheetz. Photos may be of a similar model. MLS#21601727. CENTURY 21 Scheetz. The house is completely finished & ready for occupancy. MLS#21599675. Carpenter, REALTORS®. 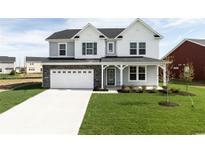 Come check out this home in one of Zionsville's fastest growing communities! MLS#21596711. ERA Real Estate Links. This home has all the quality and craftsmanship you've come to expect from Fischer Homes. MLS#21594864. HMS Real Estate, LLC. Old Town Custom Homes Is One Of Indianapolis' Top Custom Home Builders - Visit The Finished Home In A Nearby Location And Start Building Today! MLS#21588268. CENTURY 21 Rasmussen Company. **For more information on J.Morrow Construction and ICF built homes visit website jmcin MLS#21589719. United Real Estate Indpls. Manchester Square - Large Deck overlooking tree line completes this elegant home with an easy walk to the village. MLS#21576723. Heritage Realty Group.